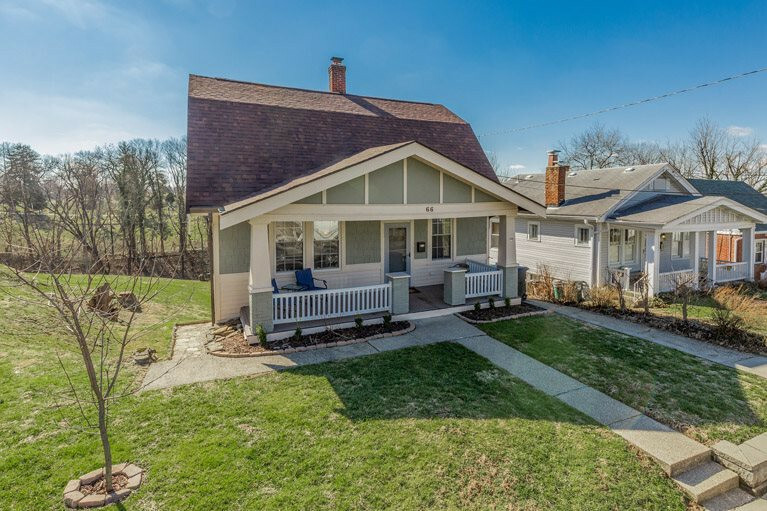 Relax on the covered front porch of this 2-bedroom home in Fort Thomas! Some Updates include: new roof (October of 2018), new exterior paint (March 2019), new interior paint, opened kitchen up to the dining room, new kitchen floor, remodeled bathroom, added pantry, new lower deck and new privacy fencing. This home sits on a huge cleared lot in Fort Thomas. Located in the Award-Winning Campbell County School District.